Rochester Institute of Technology’s Nathaniel Rochester Society is giving its highest honor to Elisabeth “Ebets” and Thomas F. Judson Jr., longtime supporters of the university. The Judsons will receive the 2013 NRS Award at the society’s annual Summer Gala, set for Thursday, July 11, at the new Sustainability Institute Hall on the Henrietta campus. The annual honor recognizes individuals who have made outstanding and significant contributions to the university’s advancement. The Judsons’ contributions to RIT extend back two generations, as Tom’s father, Thomas Judson Sr., and his grandfather John D. Pike, both served on the university’s board of trustees. Thomas F. Judson Jr. joined the RIT board in 1984. Over three decades, he served as chair of the Student Life, the University Relations and the Enrollment Management & Career Services committees. He has also served on the steering committee for Powered by the Future: The Campaign for RIT. He and his wife have personally supported the Albert J. Simone Endowed Chair in Entrepreneurship, as well as the Thomas F. Judson Sr. NRS Scholarship Endowment Fund, and the Judson NRS/Science Scholarship. The Judsons and The Pike Co. have also been important supporters of the RIT/Rochester City Scholars program, which will welcome its fourth class of students from the Rochester City School District this fall. And The Pike Co. also supports the Master’s Degree in Architecture Director’s Fund, the Facilities Management Services Endowed Scholarship, and the RIT Athletic Association. The Judsons, who live in Victor, N.Y., are also widely known for their involvement in the Rochester community. Tom Judson chaired the United Way of Greater Rochester’s 2007 campaign, and in 2009, received United Way’s Alexis de Tocqueville Society Award. Ebets Judson is a past chair of the board of trustees for Allendale Columbia School. She currently serves on the board of George Eastman House, International Museum of Photography and Film, and is a founding board member of the Rundel Library Foundation, which awarded her its Harold Hacker Lifetime Achievement Award in 2007. She is also a founding board member of the Stuart Horse Trials, and an active supporter of the Wilmot Cancer Center. Tom Judson is a past chairman of the board of the Center for Governmental Research, and current board member and immediate past chairman of the Rochester Business Alliance. 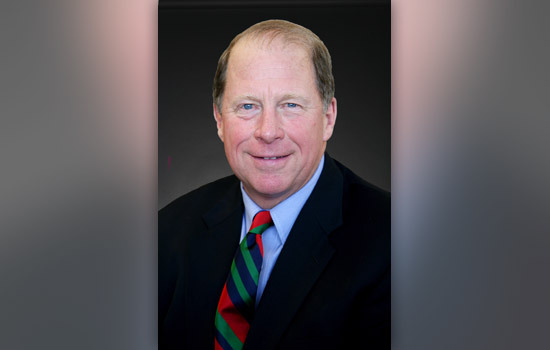 He has been inducted into the Rochester Business Hall of Fame, and received the Civic Award for Commerce and Industry from the Greater Rochester Metro Chamber of Commerce. Also at Thursday’s gala, RIT will present the Whitaker Service Medallion to Jan Reich ’90 (MBA), a leader in the university’s Facilities Management Services department for nearly 40 years. The Whitaker medallion recognizes individuals who have contributed to NRS through outstanding volunteer service and leadership. Reich is currently director of special projects, but for five years prior, served as interim director of the entire department. For seven consecutive years, Reich has served on the NRS Executive Committee. Thursday’s gala also offers RIT an opportunity to thank the more than 800 members of the Nathaniel Rochester Society for their support. The mission of the Nathaniel Rochester Society is to develop friends and ambassadors to promote and support RIT. The NRS Award, established in 1972, has been permanently endowed through the generous gift of Mr. and Mrs. Marcus N. Barbour, charter members of the Society. Past recipients of the NRS Award include the Gosnell family, B. Thomas Golisano and E. Philip Saunders. The Whitaker Service Medallion is named for NRS founder and first chairman RIT Trustee Gaylord “Gee” Whitaker. Past recipients include Jay and Lauren Judson, Kevin and Nancy Gavigan and John S. and Mary Parke.